Ram Mandir in Ayodhya and the Ardh Kumbh Mela — two Hindutva planks that experts believe BJP is banking on heavily ahead of the upcoming 2019 elections. With the Supreme Court postponing any decision on the Ram Janmabhoomi land dispute case, the BJP might put the Ayodhya and the Ram Mandir as poll pitch on the back burner. Kumbh, however, is a different story. The Ardh Kumbh Mela, the 55-day-long festival in Uttar Pradesh's Prayagraj, known as Allahabad till recently, is Chief Minister Yogi Adityanath's political litmus test notwithstanding the fact that it's a grandiose religious event at the end of the day. The importance attached to this leg of the Kumbh is such that the top brass of the BJP is putting their entire weight behind the Uttar Pradesh chief minister. The preparation for the Kumbh has been going on for a year now. The crowd usually swells during the Maha or the Ardh Kumbh, and this year at least 12 crore pilgrims are expected to pour in from all over the world. Given the numbers, preparations were bound to take time. The Ardh Kumbh is held every six years, while the Maha Kumbh takes place every 12 years. There was also departure from the past when it came to promoting the event. Reports said that the UP government planned events in prominent cities across the world — road shows in Berlin, Amsterdam, Lisbon, Dublin and Copenhagen. 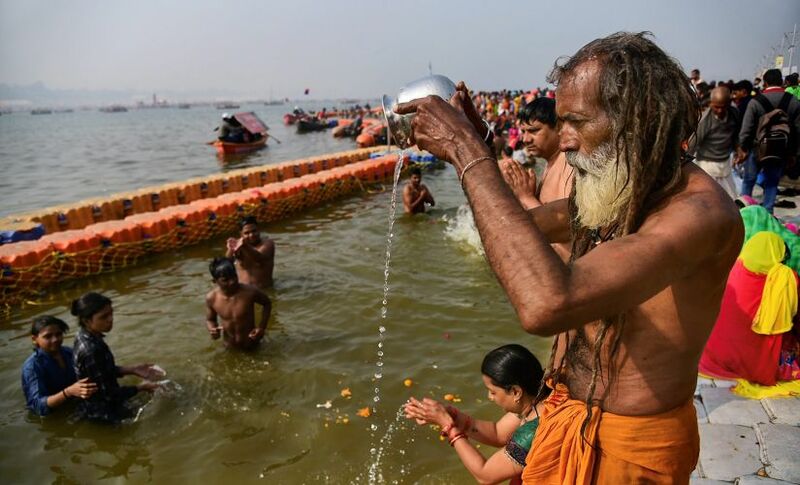 The idea that Kumbh is an event only for saints and seers was busted as the Adityanath's BJP government aimed at making it a more global phenomena. The officials are preparing for a global audience and nearly two million foreign nationals are expected to arrive. Special brochures in Spanish, German and French carrying an in-depth history of and information about the Kumbh are made available, Hindustan Times reported. Being designed as a "historic and unique event", the Yogi government allocated Rs 510 crore for Kumbh preparations. The chief minister was personally involved in planning as he made several visits to Allahabad and held meetings in Lucknow. He has also asked officials to design an emblem and a slogan for the event. For the first time, Yogi has decided to set up a Prayagraj Mela Development Authority that worked as a nodal agency for all preparations for the event. But beyond the ensuring safety and security, the Kumbh for the BJP and the Sangh is a huge political show. Of the 545 seats in the Lok Sabha, 80 belong to Uttar Pradesh. The BJP secured 71 of these in the 2014 General Elections, accounting for over one-fourth of the total 282 seats that the party won. Though the BJP maintained its winning spree by sweeping the Uttar Pradesh Assembly elections in March 2017, it has witnessed massive reverses in three Lok Sabha by-elections held in the state thereafter. What was interesting is that in these by-polls, the BJP could not save Gorakhpur, arguably the state’s strongest saffron seat, which had elected a BJP member of Parliament consecutively since 1991. Before he became the chief minister, Yogi had consecutively won the seat five times. The loss of three more significant states from the Hindi belt — Rajasthan, Madhya Pradesh and Chhattisgarh — in the recent Assembly elections has further compounded BJP’s problems. 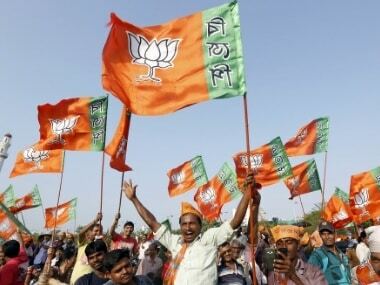 The Rashtriya Swayamsevak Sangh, which has taken a keen interest in the mega event, have reportedly executed a "massive exercise to hijack" the event to whip up a solid saffron tide for the BJP ahead of the 2019 Lok Sabha election. Armed with almost 600-700 swamyamsevaks, top RSS cadres have turned the Kumbh into a camping site for the Hindutva organisation. "It has been decided that each vibhag (department) of Kashi prant (region) will deploy six to seven hundred swayamsevaks during the Kumbh Mela. They are being trained in crowd management and in various ways they can help people who get separated from their families and relatives," a RSS member was quoted as saying. According to a few Sangh leaders, Kumbh can be an excellent opportunity to build mass contact and public relations with core Hindutva voters. The BJP, they were quoted as saying, is "lucky" that General Elections will be held after Kumbh. And if the Adityanath-led Uttar Pradesh government and the Centre manage to please the saffron core constituency with good arrangements, the road to 2019 for Modi will become smoother. Kumbh can also provide a subtle way to shift sight from Ram Janmabhoomi issue while keeping alive the Hindutva agenda. 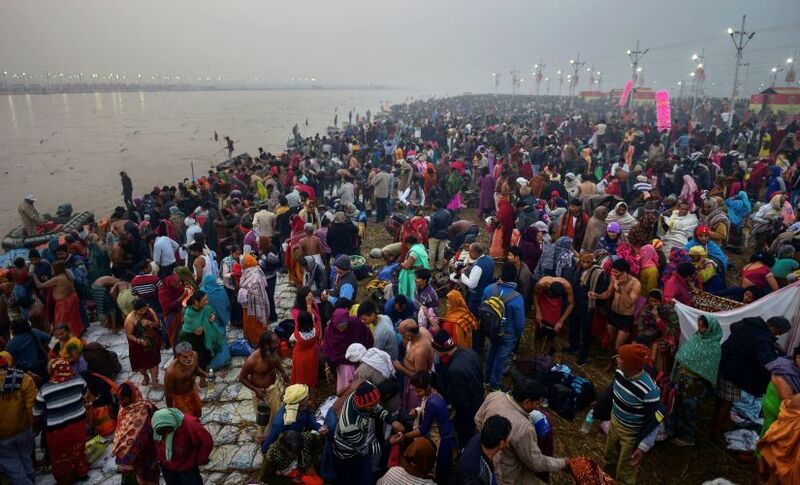 "In the General Election year, it (Kumbh) promises to be religion, politics, business, tourism and global branding rolled into one," analysts have been quoted as saying. With top BJP leadership, including, Prime Minister Narendra Modi, party president Amit Shah and Home Minister Rajnath Singh, putting their weight behind Adityanath, the Ardh Kumbh (which happens every six years) is likely to attract the crowd at a level that one usually witnesses during Maha Kumbh. That the event was going to be grand and laced with political messaging was evident from early last year itself. 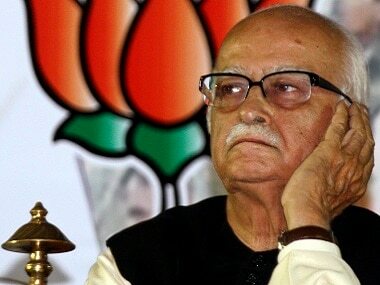 As early as in July last year, the BJP president met seers, visited temples and religious functions and collected feedback from the saints on hosting the Kumbh in Allahabad. Preparing for the mega event, was the core of Shah's visit to the state. Shah also met the saints of the Akhara Parishad, including its chief Narendra Giri. The Akhara Parishad is the apex body of saints from all the 14 Akharas that participate in the Kumbh and whose feedback he plans to collect, BJP leaders told Hindustan Times. "Of course, every Hindu has a deep connect with Kumbh. It’s what we call as the ‘asthaa ka sangam’, the confluence of faith. Though we work for each community, we have never engaged in appeasement. Kumbh is a celebration of our eternal religion and culture. We see it like that but yes, if it helps us connect electorally too, it’s even better," a BJP leader told the newspaper. 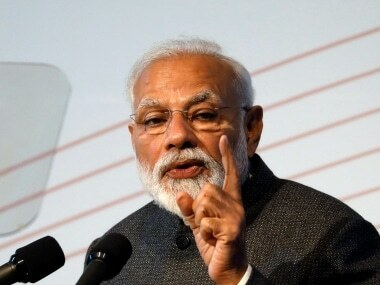 Even Modi visited the Mela area in December to inaugurate the newly-constructed projects in the Sangam city and temporary structures in the area. The prime minister also reviewed preparations for the Kumbh personally. Several deliberations were held between BJP leaders and the RSS, the leaders, apart from the shrill around Ayodhya, decided to leverage the Kumbh to keep the Hindus united. The Kumbh is also being handed down by the BJP to show off the "good governance" that the state has acquired under the able rule of Adityanath. Law and order has always been a trouble area for any government in the state. By pulling off an event this massive, the Yogi government will definitely gain a few brownie points with the public. "The atmosphere of good governance in the state, which has been brought about by Chief Minister Yogi Adityanath, has changed the picture and perception of people about Uttar Pradesh. This has attracted foreign investors as well as tourists," a BJP leader was quoted as saying by The Indian Express. Additionally, the BJP is planning to organise five "ideological Kumbhs" which will be held in Lucknow (Yuva Kumbh), Varanasi (Paryavaran Kumbh), Vrindawan (Matru Kumbh), Ayodhya (Samrasta Kumbh) and Sanskriti Kumbh (Prayag). The idea, the BJP says, is to link people from every section of the society and from every region of the state. The decision is also part of BJP's Dalit outreach plan. Through these, BJP and the Uttar Pradesh government would also highlight the significance of Kumbh 2019 - its history as well as relevance in current times. Yogi and several RSS leaders are expected to be present at each of the five conceptual Kumbh Melas. But interestingly, it is not just the BJP. A few national parties have set up camps at the Kumbh. Media reports from Kumbh suggested that all parties plan to make hay while the sun shines and take a "holy" dip in the Hindutva pitch laid down by the BJP. Determined to show their might during the Kumbh, the Congress has got itself allotted two camps on the Mela premises - running into nearly 16,000 square feet area to stamp its presence. This is nearly 40 percent more than it had got during the Kumbh in 2013. The Indian Express quoted RSS officials saying that the concept of a whole Hindutva is a possible instrument to counter the mahagathbandhan in 2019. 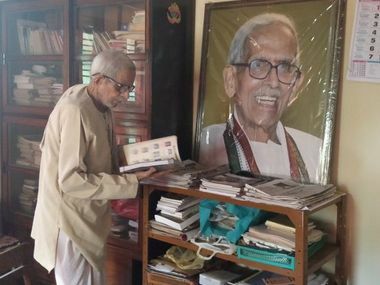 The report said, "The RSS and Sangh Parivar also talks about uniting the Hindu samaj. Now, they also claim Muslims are those Hindus who converted during the medieval period under the compulsion of Muslim rulers. While explaining ‘samagra hindutva’, Shah suggested that we integrate OBC and Dalits in the Hindutva fold. He also emphasised that the government is working to integrate OBCs and SCs and that we need to continue dialogues with these communities to integrate them into the Hindutva fold."